While many guitar companies worldwide make what basically amounts to a straight up Telecaster clone, there are also a handful of respected manufacturers who take the design and give it a modern, unique twist. While a decent sized list of Telecaster clones under $1000 could be accomplished, I find it's best to look at these other standout options. If you want a true Telecaster around $1000, stick with the company who makes them best: Fender. However, if you like the shape but not the features Fender gives you, check these out and I'm sure you wont be disappointed. One company that produces Strat and Tele lookalikes- from clones to slightly twisted versions- that is worth a look at is G & L. Founded by Leo Fender himself, you'd expect the man behind the Telecaster itself to be a worthwhile voice to follow. G & L currently has a long list of Telecaster options available with more features than Fender by a long shot but the Will Ray Tribute Signature is by far the most interesting and unique of the group. The semi-hollow f-hole is no stranger to the Telecaster in their Thinline designs, although it's certainly not as common as a solidbody Tele. While many Thinline Telecasters pair the f-hole with mahogany body wood, the Will Ray uses swamp ash for a snappier, brighter tone. The Z-Coil pickups retain a nice single coil tone but ditch the noise and hum at all times. Topping the list is the Hipshot B-Bender system, which allows the user to emulate the sound of a pedal steel guitar. All of the options in the Will Ray Signature make it a phenomenal bargain for the price. If one word could be given to describe Godin Guitars, it would be "innovative." Never content to follow the crowd, their guitar lineup is filled with one of a kind guitars from top to bottom. The Session Custom Triple Play is one of their newer models and continues their trend of standing out, not standing still. Telecasters are typically constructed with alder or ash body wood but the Triple Play throws a curve with a basswood body which has more pronounced mids and warmth to it. 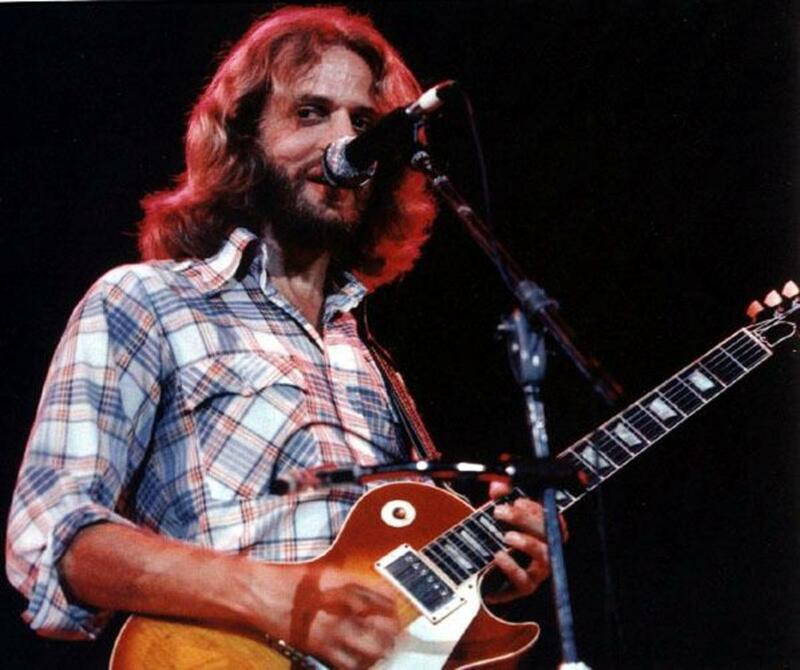 The buyer can choose either a maple or rosewood fretboard, each giving a distinctly different voice to the guitar. With a humbucker in the neck and a bluesy single coil in the bridge, a vast array of tones can be found as well. Any Telecaster that has a tremolo system is quite unique in itself but you'll find one here. Also rare and unusual is the inclusion of a Fishman Triple Play. a new wireless MIDI system designed for recording and composing music that is a combination hexaphonic pickup, wireless controller/USB receiver. Ibanez is no stranger to cloning guitars- that is, after all, how they came to notoriety in the 1970s. These days Ibanez strays from the path of the clone, instead creating original models loved and adored by fans worldwide. The FR series is a somewhat newer model for Ibanez, and while they have other models produced in Japan, the FR320 is the most popular in the United States. With a recognizable but unique look, one of the FR320's standout features is its 24 fret super thin Wizard neck. With a neck heel joint design that is not as blocky or bulky as what Fender incorporates, the FR320 is a simple guitar to reach the upper frets on. While Telecasters typically have a fixed bridge with a string-thru body, the FR320's bridge puts more control of intonation in your hands as well, making it a much more reliable sounding guitar while playing on the upper frets as well. Dual humbuckers with a 5-way selector switch (seated on the pickguard, a nice touch) give you a wide range of tones, from sparkling cleans to outright crunch. While it's the cheapest guitar on the list, it's definitely not one to overlook, especially for guitarists who like to solo and prefer rock music. Leave it to Stephen Carpenter of Deftones to ask the question, "Why hasn't anyone made a 7 string Telecaster yet??" 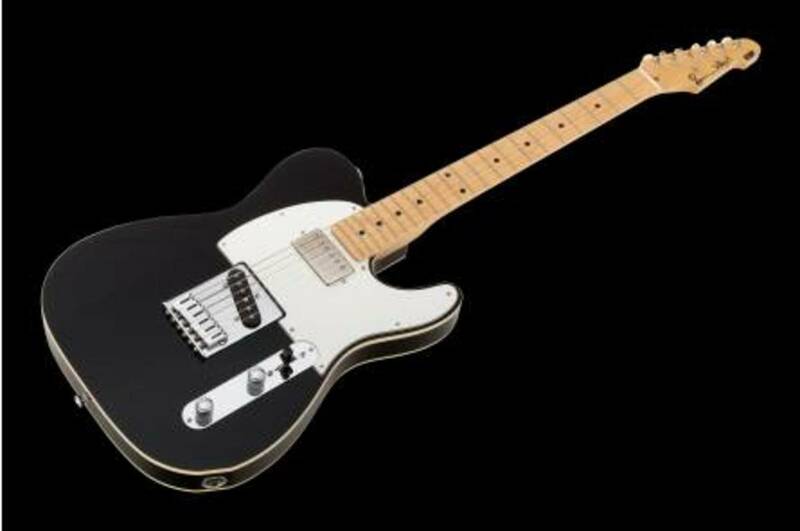 While Fender has recently joined the ranks of Telecasters aimed at the hard music genres (with their Jim Root and John 5 signature models), ESP surpasses them in creativity by leaps and bounds with this model. Aside from the 7 string issue, the SCT-607B is a baritone guitar, thus tuned from B to B. 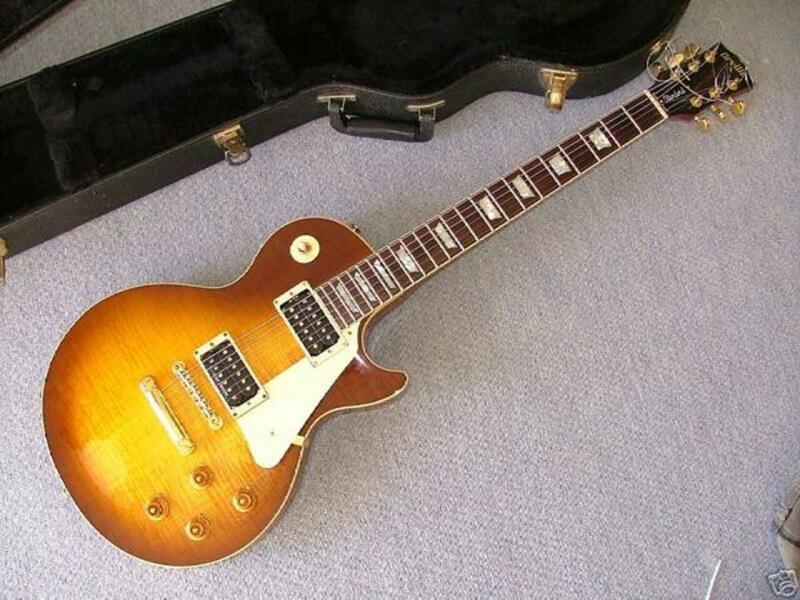 The scale length, at 27", is slightly longer than a traditional electric guitar in order to retain string tension while tuned significantly down. While alder body wood is no stranger to Telecasters, the ebony fretboard most definitely is. Articulation, brightness and speed are traits that make ebony famous, so soloing is a dream on this guitar. With a neck-thru design, notes hold and sustain much longer than any bolt-on Telecaster ever will and makes reaching the upper frets a breeze. Locking tuners are nice but not so much needed with the Tonepros locking bridge. Topping it off are a pair of active EMG pickups, giving you clarity and depth even through loads of distortion. Schecter Guitars truly have something for everyone. From vintage to metal, taking a look through their current offerings will leave most guitarists in awe of the wide range of models to choose from. As part of its Retro series, the PT Fastback is one of three Telecaster-style guitars Schecter offers. The PT Fastback is quite different from the other two, which is why it remains on this list. Hearkening back to the 1970s, the PT Fastback definitely looks like a modified Telecaster that could have been seen on stage in those days. While a humbucker in the neck isn't terribly uncommon, the combination of a humbucker and a Gretsch-style pickup in the bridge definitely is. With the addition of a push-pull pot allowing single coil tones, this guitar can go anywhere from airy and clean to snarly and brash. With the option to choose either a maple or rosewood fretboard, buyers can add the warmth or snappiness they so choose- and those block inlays don't look too bad either. I'm paying. What do you want? 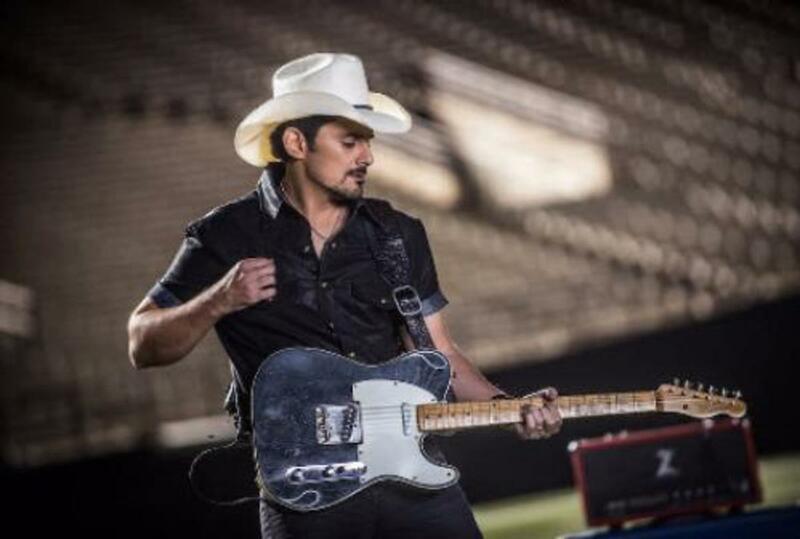 If it's twang and tradition you want, sticking with the Fender Telecaster is most likely your best option. If you love the design but don't want to be confused with a chicken-picker, take a look at any of these options and I'm sure you'll find one to cherish. While each and every model on this list is a phenomenal guitar, each has its own flair and tone to set it apart from the rest. From country with attitude to metal and beyond, there is definitely something for everyone here. Great question, and I'm actually wondering that myself now. Perhaps it's because the Classic Vibe was too obvious of a choice to include in this list for me. In my opinion, Squier's Classic Vibe series are phenomenal for the price point they fall within. I owned a Classic Vibe Thinline Tele that I was very happy with and would recommend to anyone wanting to spend under $700 on a Telecaster. hi! was wondering why you didn't include the Squier CV? Yes, the other two models, to me at least, are a bit more boring than the Fastback. They're all great guitars though. Thanks for the comment! Cool Hub! 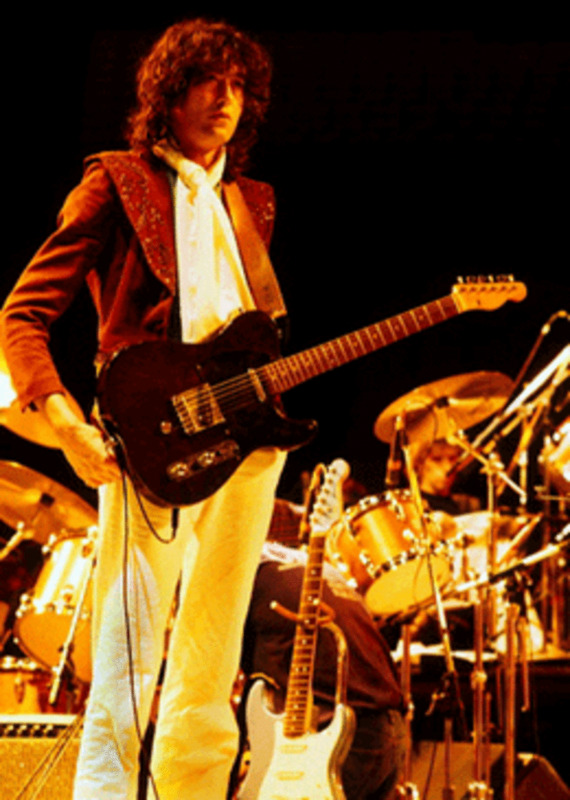 Interestingly (and I'm sure you're aware) the Schecter PT Fastback started life as a Pete Townshend signature model, and he played the original prototype extensively during one of the Who's early 80s tours. Schecter took his name off it after he decided not to endorse it beyond a couple of years. My research also indicates that the modern PT models have little to nothing in common with the version(s) that were built for Pete beyond cosmetics. Very interesting guitars nonetheless! I'd very much love to try one, myself.